We’ve had an exciting year in 2018, and appreciate you joining us for every Mellow Moment. Let’s take a look back at a few of the milestones that we’ve enjoyed this year – including our 130th anniversary, the launch of our Limited Edition Small Batch, renaming and updated packaging for Four Roses Bourbon, and crowning the winner of our first-ever Best Home Bartender competition. All year long, we celebrated our 130th Anniversary, recognizing all that we’ve achieved since our brand was born. 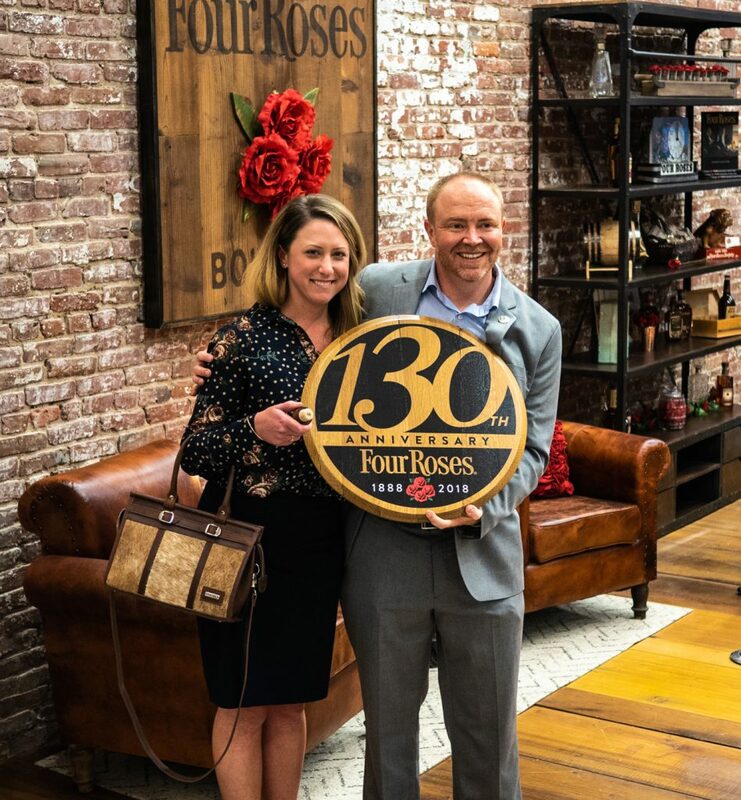 Four Roses’ storied history dates back to 1888, when Paul Jones, Jr. founded the company and named it Four Roses as a symbol of his passion for his true love. 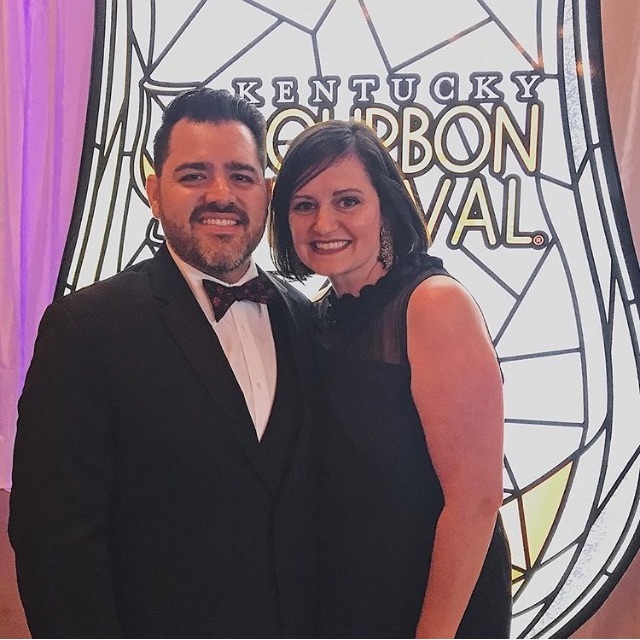 For more than a century, Four Roses has grown from its humble roots on Louisville’s Whiskey Row to an award-winning, internationally-recognized Bourbon brand. We’ve survived Prohibition, the Great Depression, two World Wars and 40 years abroad. To celebrate our 130th Anniversary, we hosted events in historically relevant locations across Kentucky, including Waveland State Historic Site in Lexington, the 1888 Historic Rocking Horse Manor in Old Louisville, and at the site of our brand’s original location on Louisville’s Whiskey Row. We also created a website where fans could submit their own pieces of Four Roses history, and added to our growing archives collection. 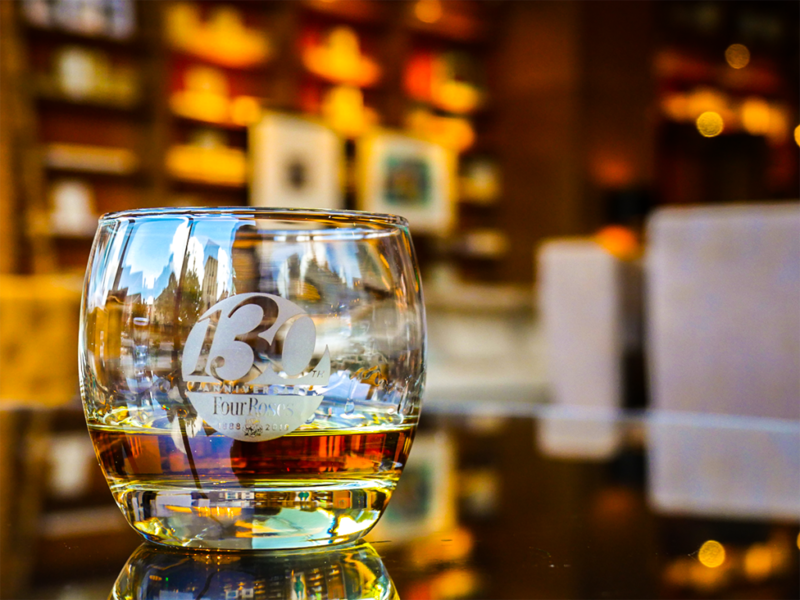 On Saturday, September 15, we launched a special, limited-quantity Bourbon in honor of this milestone – our 130th Anniversary Limited Edition Small Batch Bourbon. Friends from around the country gathered at the Distillery and Warehouse & Bottling Facility for the chance to purchase a bottle. Four of our unique Bourbon recipes were selected for this Limited Edition Small Batch, including a 10-year-old Bourbon from the OBSV recipe, a 13-year-old OBSF, 14-year-old OESV and 16-year-old OESK. Bottled at barrel strength, 108.3 proof, this Bourbon offers rich vanilla, raspberries and ripe berries, and crème brulee on the nose. As it hits the palate, it opens into flavors of apricot, mint, cinnamon, apple and mellow oak. It boasts a long finish, with hints of cinnamon, more fruit and vanilla. More than 13,000 hand-numbered bottles were distributed in the U.S.
New this year, we introduced a renewed look for our namesake product, Four Roses Bourbon. 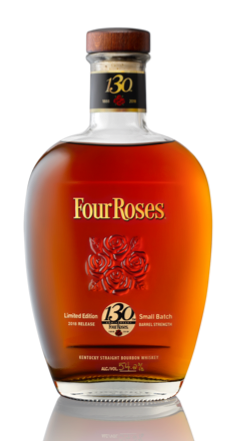 Many fans previously knew this Bourbon by one of its nicknames, “Four Roses Yellow” or “Yellow Label.” The new packaging features a color scheme that aligns with the other products in our family of Bourbons, Four Roses Small Batch and Four Roses Single Barrel. The bottle also features a cork top to better reflect the high quality of the Bourbon inside, which remains the same – handcrafted with up to all 10 of our unique Bourbon recipes. We also hosted our first-ever Best Home Bartender Cocktail Competition this year. We put out an open call for all backyard bartenders, self-taught mixologists and kitchen cocktail crafters from around the country to submit their favorite cocktail recipes. We received a number of entries which were judged by a panel of industry experts on taste, creativity, aroma and presentation. 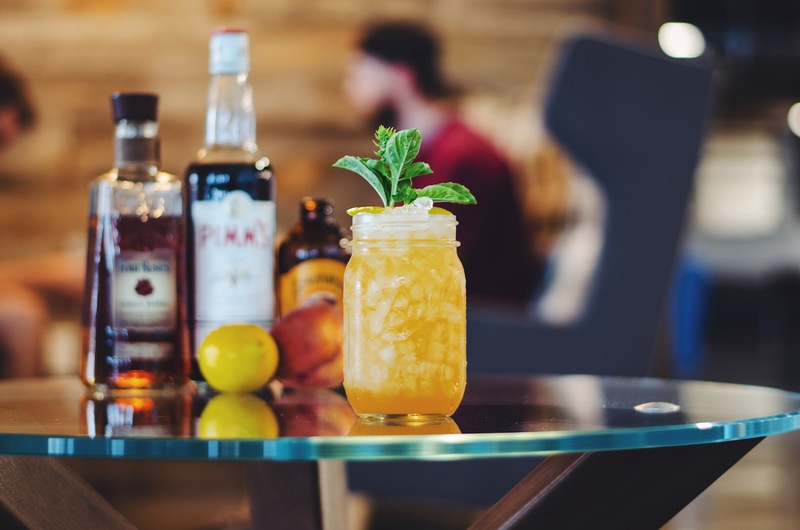 From a competitive batch of entrants, the panel selected Will Mejia of Phoenix, AZ as the winner, with his cocktail entry, the Peach Rose. This cocktail was named our Official 130th Anniversary Cocktail, and Will received a signed Four Roses barrel head, as well as a trip for two to attend the internationally acclaimed Kentucky Bourbon Festival in September. Find the Peach Rose recipe here and handcraft your own version at home. Be sure to share it with us by posting a photo on social media with the hashtag #HandcraftTheMoment and tagging Four Roses. In November, we celebrated the completion of Warehouse X, the first Four Roses warehouse to be built since 1960. Master Distiller Brent Elliott commemorated this milestone by rolling in the first barrel. We look forward to aging more of our award-winning Bourbon in the future, at our Warehouse & Bottling Facility in Cox’s Creek, Kentucky. Thanks for joining us for these Mellow Moments and many others in 2018. 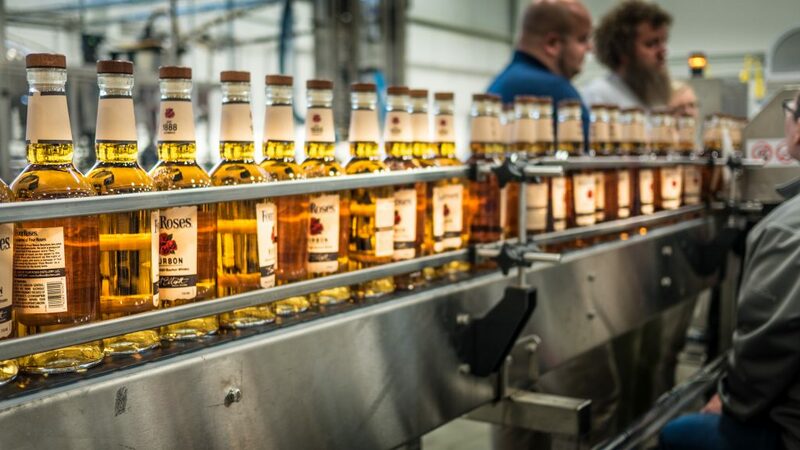 As we approach the end of the year, we’re looking forward to great times ahead – including the completion of our Distillery expansion project in 2019. 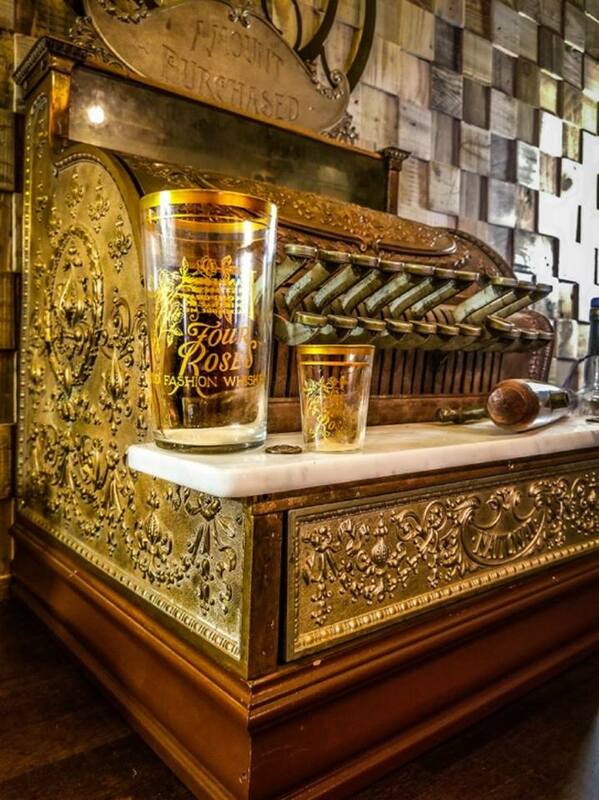 We know that next year is sure to bring more Bourbon and other opportunities for us to mingle. From all of us here at Four Roses, we wish you a happy holiday season and a great new year. Cheers!